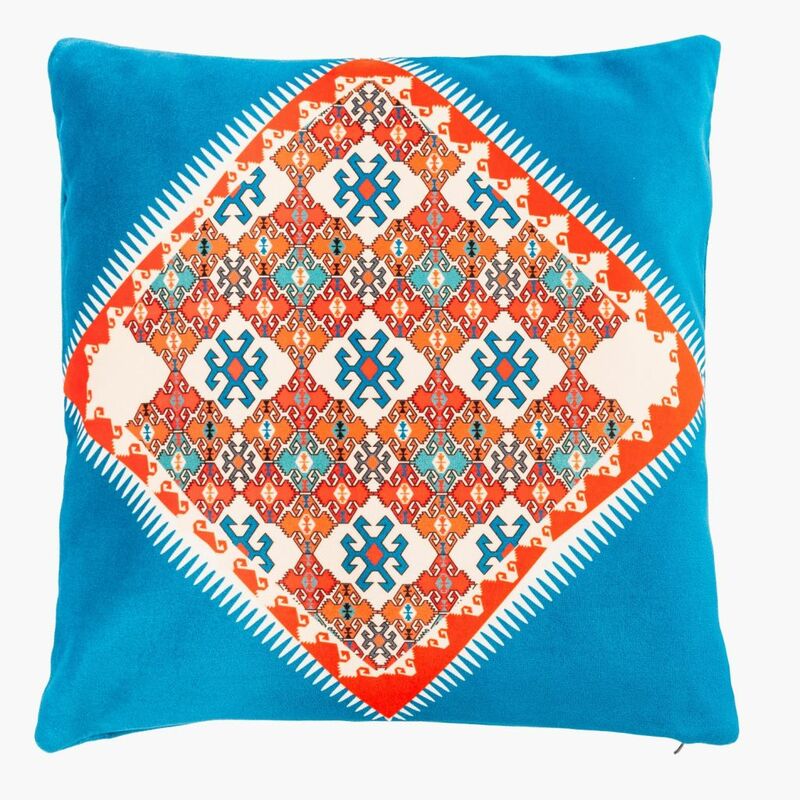 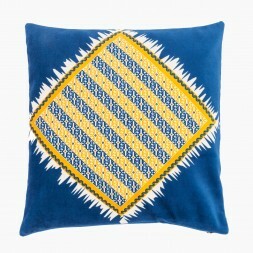 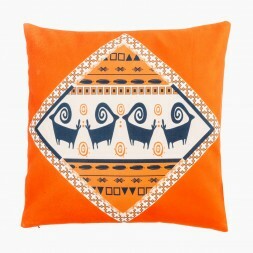 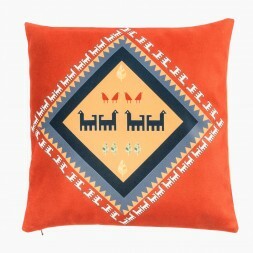 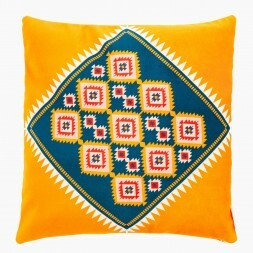 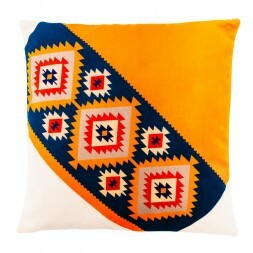 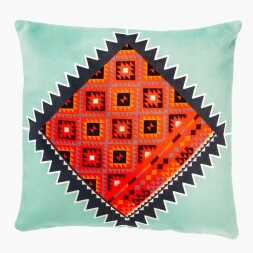 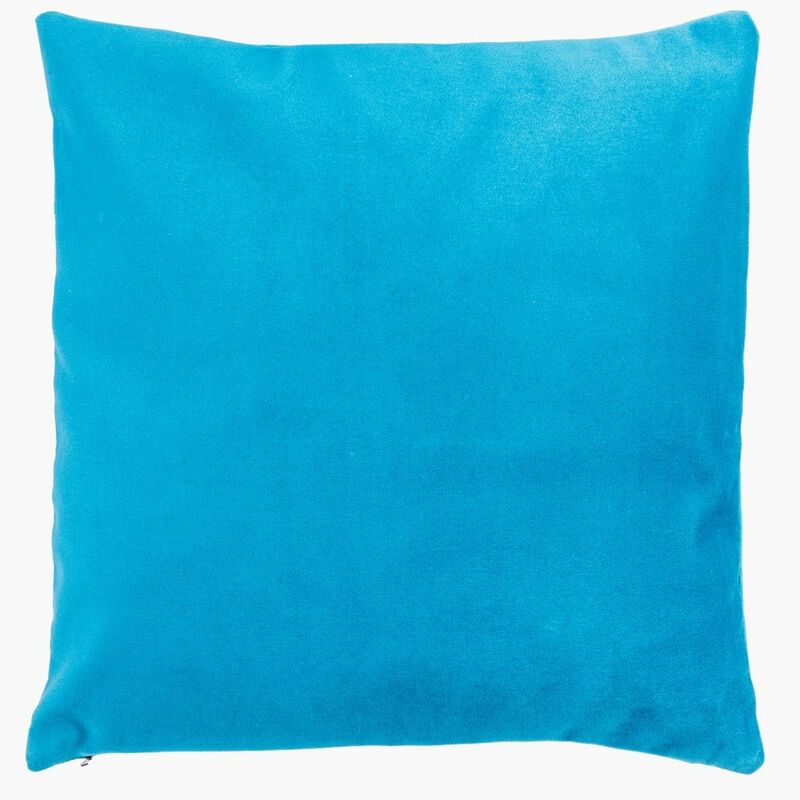 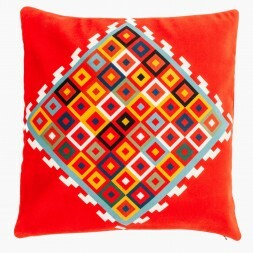 This cushion has been inspired from Kilims of Shahsavan, Shahsavan is a tribe, mainly living in Northwestern Iran. 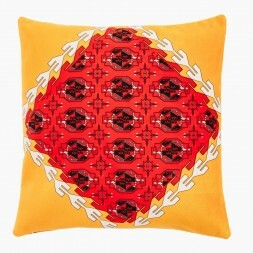 The motifs used, are 'Yildiz' (star) and Elibelinde motif (Anthropomorphic goddess figure), abstractly resembling the sky and fertility, yet praising the life. 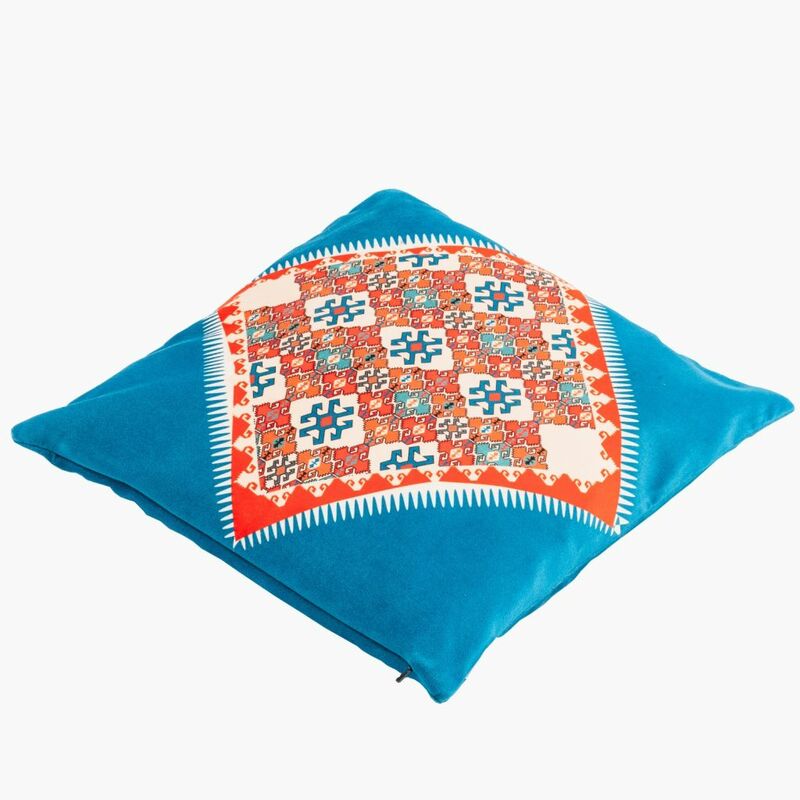 Shahsavan Kilims are rich in motifs and colors.